The Egyptians valued personal adornment and jewelry, and jewelry was worn by all classes. Ancient Egyptians were among the first wearers of jewelry made from precious metals, and the jewelry made with precious metals and gemstones were worn by the wealthy and associated with power and status while copper was worn by the masses since it was a more affordable metal. Egyptians not only wore their jewelry in their daily lives, but also in death, many pieces were entombed with the deceased during burials. Egyptian jewelry frequently used a scarab (beetle) motif, an ancient Egyptian symbol associated with rebirth, and hieroglyphic inscriptions. Precious and semi-precious gemstones such as emeralds, pearls, lapis, amethyst, and turquoise were often inlaid. The craftmanship of these pieces is no less than amazing. 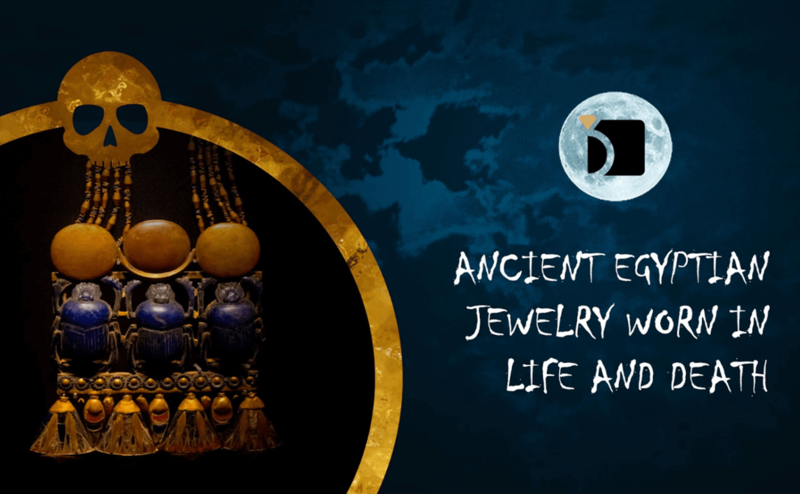 Many of the early styles of Egyptian jewelry are still a heavy influence in todays designs such as statement necklaces, pendants, and cuff bracelets. A pectoral is a kind of ornament that was popular and common with Egyptian burials, and they have been found in many varieties. King Tuts tomb had many of these, some were within his mummy bindings, and others within the chests of the treasury. Just 4 years ago, a 4000 year old mummy was found under Pharaoh Thutmosis III’s Temple in Luxor. The mummy was a lavishly adorned female who archaeologists named “Lady of the Jewels”. A true example of the ancient Egyptian tradition of not only wearing jewelry in life, but also in death. I have been following your blog for awhile now… I find you content refreshing. A loyal fan.